Studied at the ‘Accademia Internazionale della Musica’ of Milan, attending courses in oboe and saxophone and computer music at IRMus (Istituto di Ricerca Musicale) in Milan with Prof. P.Polotti, Prof. M.Tadini and Prof. A.Vidolin. In 2003 ‘‘XIV CIM 2003 Computer Music: Past and Future’ festivals at Centro Tempo Reale in Florence played an electroacustic composition of mine. 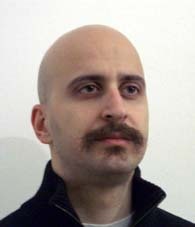 In 2004 I was assigned the task of preparing a computer music composition with dance by AGON/Centro Studi Armando Gentilucci (produzione AGON 2004). In 2005 I was assigned the task of producing a composition for ensemble and computer music from the ‘Orchestra Sinfonica Nazionale della R.A.I.’ of Torino, with collaboration of the centre of ‘Production and music research’ Tempo Reale in Florence. 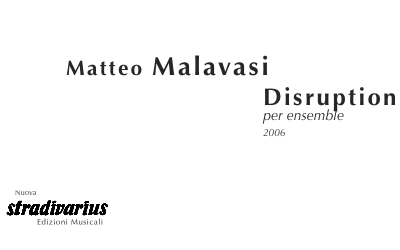 This work was performed by the ensemble of the RAI orchestra during the “RAI Nuova Musica” festival (March 2006) and was published by RAI Trade. In 2005 I was assigned the task of preparing theatrical works by the Cultural Society ‘Sentieri Selvaggi’ and was performed during CreaMi Festival in Milan. In 2006 I attended masterclasses with Prof. A.Solbiati and Prof. G.Giuliano writing a composition for six instruments for the ‘Divertimento Ensemble’ and a composition for trombone, piano, percussion and electronic music, performed by trombonist Prof. B.Webb with collaboration of the centre of ‘Informatic music research’ AGON. In 2006 I was assigned the task of producing a composition for String Orchestra from ‘Orchestra Milano Classica’ and it will be performed during the Milano Classica concert season. In 2006 I was involved in a new ‘Editorial Project’ for young composers from Publishing House Stradivarius. In 2006 I embarked on a new research project in composition with multimedia resources, creating a short work for saxophone, electronic music and video. I felt the necessity to express my ideas through different kinds of ‘media’. This work will be performed in april (and june) 2007 in Zurigo during the ‘Generator #8 – Labor für elektroakustische Musik und Neue Medien’. Now I’m working for two task: the first is a composition for cimbalom e bayan that will be performed by Luigi Gaggero and Germano Scurti (commission Stradivarius); the second is a composition for ensemble and electronics (commission ensemble Icarus) and will be performed in autumn 2007. Now I’m studying composition with Prof. G.Verrando at ‘Accademia Internazionale della Musica’ of Milan and attending Bachelor course in ‘electronic music and sound engineering’ at Conservatory of Music of Como. My compositions are published by Publishing House Stradivarius.